Is Foreclosure Moratorium a Good Idea for Lenders? 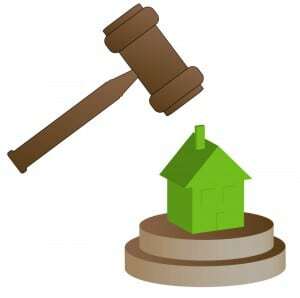 Home · Property Management · Financing : Is Foreclosure Moratorium a Good Idea? Is Foreclosure Moratorium a Good Idea? A number of lenders have pressed the “Pause” button on foreclosures in a few states in light of possible misconduct in obtaining eviction and foreclosure orders from courts. But lawmakers and investors alike are raising concerns that a nation-wide moratorium on foreclosures while investigators pour over possibly fraudulent affidavits and supporting documentation in those cases could lead to a bigger crisis: banks will stop lending for mortgages. That, in turn, could erase recent gains made in stabilizing the housing market. “Freddie Mac is deeply concerned about recent reports that there may be affidavits that were improperly executed in connection with foreclosures, according to Bruce Witherell, Freddie Mac’s COO. “The alleged practices in these reports are clearly not in compliance with Freddie Mac’s guidelines and directives to its servicers.” Freddie Mac has promised to provide instructions to servicers that are intended to ensure that their foreclosure processes are in compliance with state law and Freddie Mac’s servicing requirements. However, last week, Congressman John Conyers, Jr. and Congresswoman Carolyn C. Kilpatrick called on lenders to extend their foreclosure moratorium to Michigan and other states and to cease administering foreclosures until the problem of fraudulent paperwork is resolved. Michigan is among the hardest-hit foreclosure states in the Nation. In August 2010, the state’s foreclosure rate increased 128% over August 2009 and it remains among the top five states in the Nation in foreclosure totals. Michigan’s foreclosure rate rose 29% in the first half of 2010 over the first half of 2009. Metropolitan Detroit showed an increase of 35% during that same time period, rising to the highest level since 2007. In July 2010 alone, 1 in 241 housing units in Michigan received a foreclosure filing. In Wayne County, the number was 1 in every 158. As part of this effort, Conyers is asking the Federal Housing Finance Agency ” the federal agency charged with overseeing Fannie Mae and Freddie Mac ” to ensure that they abide by the law, to consider initiating a moratorium, and to conduct an audit of their actions. In addition, Conyers will be calling upon the DOJ’s Executive Office for U.S. Trustees to investigate the extent to which false affidavits have been filed in bankruptcy cases by lenders seeking to foreclose on debtor’s homes. Widespread concern about documentation abuses in the mortgage industry is not limited to state officials. House Speaker Nancy Pelosi and other members of the California congressional delegation called on the Justice Department, the Treasury Department, and the Federal Reserve to investigate large mortgage lenders’ handling of delinquent mortgages, mortgage modifications, and foreclosures. Additionally, Senators Robert Menendez (NJ) and Al Franken (MN) called on the Government Accountability Office to investigate the role of federal government entities charged with overseeing the mortgage lending industry to determine how they allowed lenders’ misconduct to occur without detection for so long. Also, Members of Congress from Maryland and Arizona ” two non-judicial foreclosure states – called on large lenders to halt foreclosures in their states.